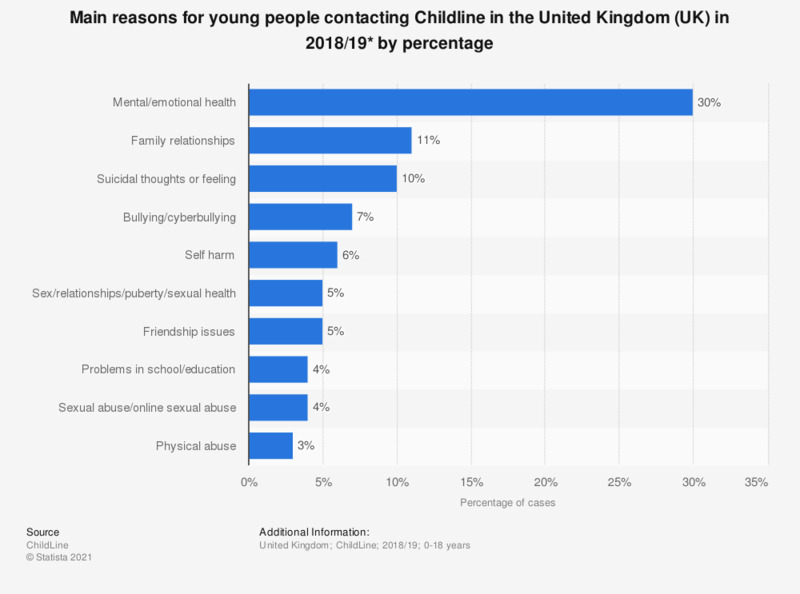 This statistic shows the main reasons for young people contacting Childline in the United Kingdom (UK) from April 1, 2017 to March 31, 2018. Overall, 25 percent of all cases were driven by mental or emotional health issues. Concerns over family relationships account for 12 percent of the cases in 2017/18. * Not all concerns/reasons for calling are detailed here, only the most common ten. Therefore, percentages do not sum to 100. Percentages represent share of all cases. For detailed definitions of the concerns listed here, please see the original source.